According to ABC News, Gilbert was washing dishes on the night of Aug. 10., when he heard noises coming from his daughter's room. He and his wife went in to investigate the situation, when they witnessed something more disturbing than they thought possible. A voice coming through a baby monitor, that was hooked up to the home's wireless Internet system, appeared to be operating on its own. CNN reports that the hacker used the device to curse and say sexually explicit things to the sleeping girl -- calling her by name and telling her to wake up. Gilbert says the hacker was able to take control of the camera and see his daughter's name on the wall. In a panic, he pulled the plug on the device. The girl was not disturbed by the hacker's calls because she was born deaf, having to depend on a cochlear implant to hear. 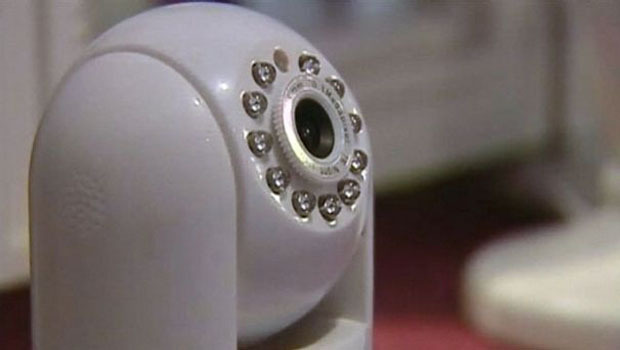 "In this case, what it sounds like is that they set this camera up, and someone cracked into the wireless network," Chronister told CBSNews.com. Chronister says that these hacks are often times just kids pulling a prank, and warns of a phenomenon called "wardriving" -- where people drive around looking for homes with weak wireless security. "The thing to understand is that not all hackers have pointed at you as a target. You just happened to have a device that they know how to hack, so they hack it," Chronister says. To parents worried about their own home monitors being hacked, Chronister says: "Make sure you punch in a password and make sure it's long." Gilbert did not report the incident to the police, and says the family will probably ditch the device permanently.